The Great American Story of Charlie Brown, Snoopy, and the Peanuts Gang! Now beginning readers can learn all about Charles M. Schulz’s iconic comic strips, beloved characters, and the cartoons and movies in this nonfiction Level 3 Ready-to-Read about the history of the Peanuts Gang! Did you know that many of the characters in A Charlie Brown Christmas were voiced by regular kids from the producer’s neighborhood? Or that Charles M. Schulz had his first sketch published at age fourteen in the local newspaper’s “Ripley’s Believe It Or Not” feature? What about that NASA has an award called the Silver Snoopy for outstanding achievements related to flight safety and mission success? Become a History of Fun Stuff Expert on Charlie Brown, Snoopy, and the rest of the Peanuts gang, and amaze your friends with all you’ve learned in this fun, fact-filled Level 3 Ready-to-Read! 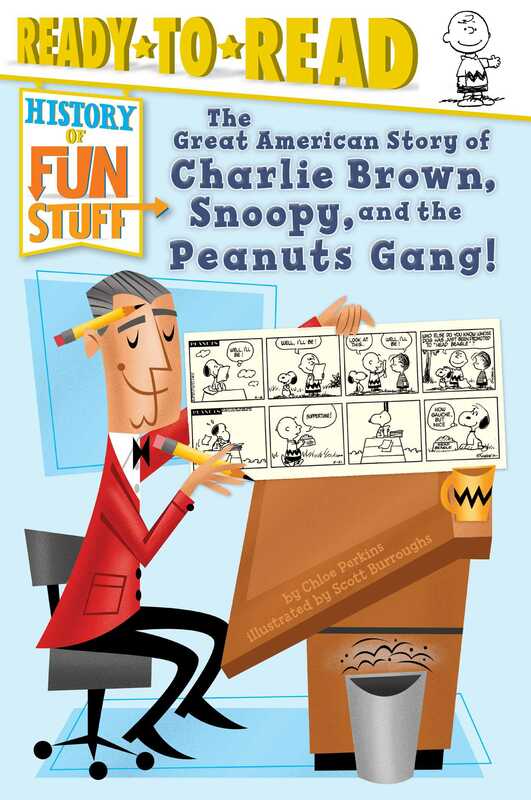 Book Cover Image (jpg): The Great American Story of Charlie Brown, Snoopy, and the Peanuts Gang!